Your weekend ticket is for access to the festival and to allow you to camp for the weekend. You also get access to free water and toilets. Some workshops and activities are included. Food is not supplied and there are some activities that you will have to pay for separately. When can we get into the festival? With and ordinary ticket, the site opens to the public at 12 noon on the Friday until midnight. (All day ticket holders must be off site by midnight). On Saturday and Sunday the gates open from 9am until midnight. The site must be cleared by 12 noon on Monday. For the first time this year we are also offering a Thursday ticket. This allows you to come on site and set up your tent etc. from 12 noon on the Thursday. You may also camp over. However please note that this is a campsite ONLY access ticket. You will not be allowed on to the main festival site until 12 noon on the Friday. What does family ticket include? A family ticket is for 2 adults and 2 children so under 18’s. Children 6 and under are free anyway so if you have thsi aged children it is cheapest to just buy 2 adult tickets. Yes but you need to buy a dog ticket. Dogs must be on the lead, and you at the other end of the lead as all times. You must clear up after your dog so bring dog poo bags. Can I have a campervan/caravan? Yes but you must buy a live-in vehicle pass and you will be required to put the caravan in the live-in vehicle area. You will be directed where to park and must use common sense to ensure there is clear access way to allow for emergency vehicles. Note there are 2 types of Campervan pass. ONe for larger camper vans or that allows awnings adn another that is ONLY for smaller camper vans with no awning. Is there facilities for caravans, hook ups etc? The festival camping filed is just a farmers field, there are no additional services AND you are expected to take you own waste home with you. There are no disposal facilities. Yes but only on the day of the festival. Day ticket prices are on the website and are subject to availability. If you buy a weekend ticket you are allowed to camp in the designated area. You need to bring your own tent or pay for a glamping tent, Day tickets do not allow you to camp. Can my friends camp near to me in my live-in vehicle? For safety reasons we have to separate tents and vehicles, so usually you will not be able to camp in the live-in vehicle area. Can I have a bar-b-q or fire? No fires or Bar -B- Ques are allowed. Can I bring a camping stove and cook my own food? Yes you can bring a camping stove and cook your own food. You can bring your own soft drinks too. Please remember no glass so decant into plastic. The pathways are grass or woodchip. We do have a disabled access toilet on the main festival site. Can I bring alcohol onto the site? The terms of the licence for the site means you cannot bring your own alcohol into the festival site. You can have it your own in your own tent but NO GLASS is allowed on site. 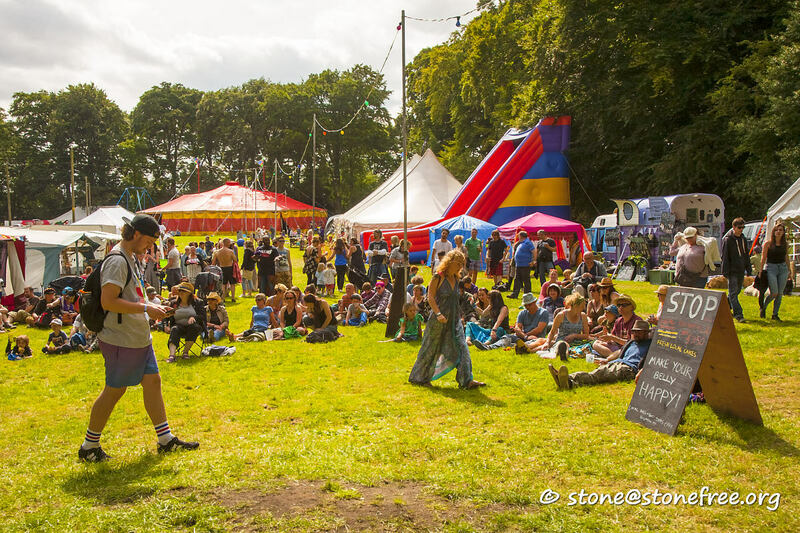 We have stewards checking as you leave the campsite and enter the festival site. Is there a car park charge? Yes it is £5 per vehicle and is payable for each time you enter the car park. There are 2 car parks; Day Parking and Weekend Parking. You cannot park near your tent but the distance from car park to tent isn’t far. Can I leave the site after I am set up? This creates a big problem for us so we prefer that you do not try and leave the site unless it is an emergency. This is especially true during peak arrival times. Friday 12pm til 8pm and Sat morning. Outside of these times you may leave but you will be charged to re-enter the car park. If you are having issues with your tickets, please send an email to: support@brownpapertickets.com. Or alternatively, ring the 24 hour helpline on: 0800 411 8881. I want to trade at Festival 8. I want to volunteer at Festival 8. What do you mean its a not for profit event? The festival is organised entirely by volunteers. No one is paid for the organising and all money is spent on the actual festival. There is a voluntary organising committee, that anyone can join. The festival stewards and most of the festival build crew do this work voluntarily. It is a labour of love. We give away about half our tickets to people helping the festival go on and to people that provide services to the festival for free. If you still have any unanswered question, you can contact us on our Facebook page at: facebook.com/festival8.co.uk or via our Contact Page.